What’s your biggest professional regret and what role has that played in your life? 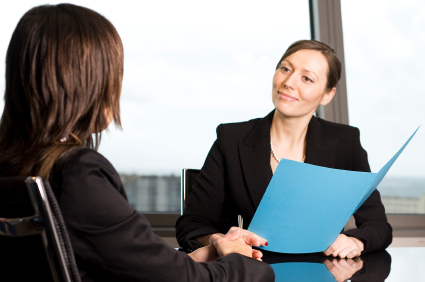 This isn’t your typical “traditional question” which focuses on a job candidate’s beliefs. Or, as an example, the dreaded, “So tell me about yourself” question. Instead, if you aspire to create courageous leadership in your organization — What interview questions might you ask? 1. What type of work situation would keep you up at night? 2. If you perceive yourself as successful, how has image played a supportive role? 3. How have professional regrets played a role in your life? 4. Describe a situation where a prominent person in the organization was clearly attempting to intimidate you, how did you react to the situation? 6. Describe one example of a courageous leadership action that you’re proud of? 7. How do you operate in a status quo environment? 8. What behaviors have you demonstrate that support peer advocacy? 9. Have you ever fallen on your sword, and if yes, what prompted that choice? 10. Have you ever chosen to stand alone in your convictions, and if so, describe your values that prompted that choice? 11. The workplace is full of paradoxes. Have you ever been given a project that you felt made no sense but you weren’t sure what to do? Describe that situation. 12. When faced with a conflict of interest, how do you support your image to validate the ethics of the organization? Sandra Ford Walston is known as The Courage Expert and innovator of StuckThinking™. She is an organizational effectiveness consultant, speaker, trainer and courage coach. She is the internationally published author of bestseller COURAGEThe Heart and Spirit of Every Woman (2001), the follow-up bookSTUCK 12 Steps Up the Leadership Ladder (2010) and the recently released FACE IT! 12 Obstacles that Hold You Back on the Job (2011). She is certified in the Enneagram and MBTI®. Please visitwww.sandrawalston.com. This entry was posted in HR, Leadership Skills, management and tagged behavioral interviewing, character, convictions, hiring, hiring for attitude, interviewing skills, leadership traits, leaderships skills, regrets, risk taking, status quo, taking a stand. Bookmark the permalink.